Paper cones are very versatile and are at the heart of many paper craft projects. Use this cone template to create confetti cones, gift bags or a wide variety of other projects. While they are easy to make using a compass or by simply drawing around a circular item, there are times when a template is the quickest and most convenient way. Our cone template is available in two sizes. 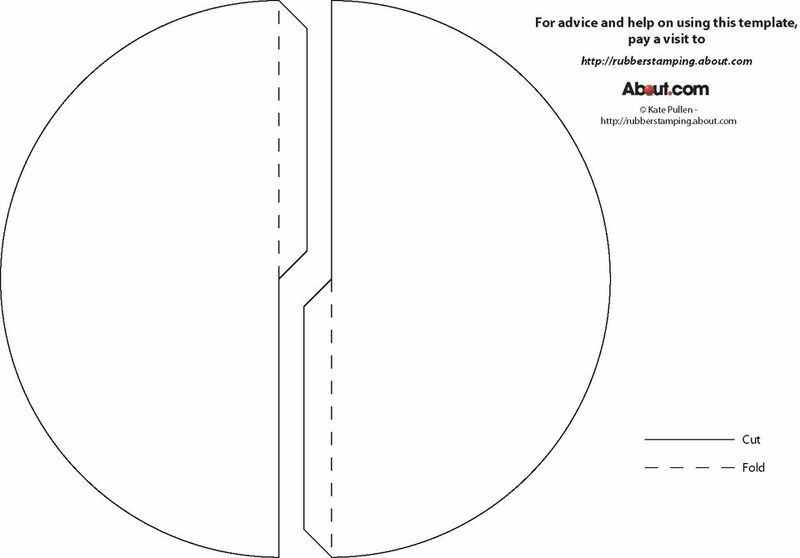 If you want to make your own cone without using this template, simply draw a semi-circle onto a piece of paper and fold the straight edges together. Paper cones are handy for all sorts of crafting projects. They can also be used as gift bags or to hold a favor for a wedding or party. A smaller sized cone template is on the next page - Small Cone Template. Paper cones are very versatile and can be used in many stamping projects (see the list below for some ideas). While they are easy to make using a compass or by simply drawing around a circular item, there are times when a template is the quickest and most convenient way. Our cone template is available in two sizes. If you want to make your own cone without using this template, simply draw a semi circle onto a piece of paper and fold the straight edges together. A larger sized cone template is on the previous page - Large Cone Template. To save paper, print onto scrap paper and then draw around the template onto best paper or cardstock. This will allow you to place the templates in a way that wastes the least amount of paper. Keep templates filed with a note of the website address. This will help you find the page again if you need to (or save the url in your bookmarks).